Why are MLS Cup winners Seattle, Toronto struggling? TORONTO -- During Clint Dempsey's five-month layoff after being diagnosed with an irregular heartbeat last season, few moments were as poignant as the Seattle Sounders' final practice before last year's MLS Cup final. 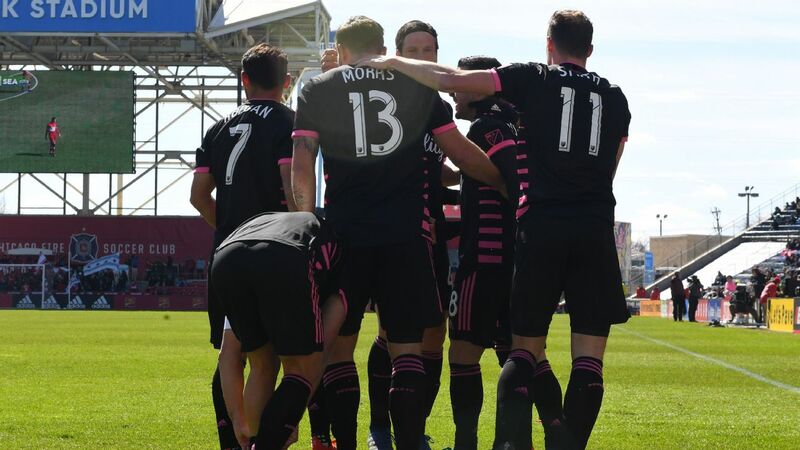 As his teammates were jovially participating in group drills and walking through set plays, Dempsey was alone down near one of BMO Field's corner flags, doing some light conditioning. As the Sounders prepared for the biggest game of some of their lives, Dempsey was just beginning the ramp up toward a 2017 return nobody was sure would actually happen. For outside observers, that snapshot spoke volumes. For Dempsey, though, it wasn't quite like that. There was no single moment that encapsulated his long exile from the game, no rock bottom. "Not really, because I've had a good career," Dempsey said earlier this week. "I've been blessed with all of the things I've done. I wasn't going to sit there and be too greedy. Obviously you want to go out on your own terms, but there was never a moment that was really, really low." Likewise, the storyline of his coming back to Toronto at full strength for another Cup final (Saturday at 4 p.m. ET, ESPN/WatchESPN) -- having not only returned to action but scored 12 goals in the regular season plus three more these playoffs -- is irresistible. Grand, sweeping narratives, however, have never been Dempsey's thing. He has consistently swatted away the notion that this playoff run has been any more special, in the overall arc of his career, given last year's health scare. He downplays the idea that returning to BMO Field has any greater significance than, say, a championship game at Eastern Conference runner-up Columbus would have been. After missing Seattle's 2016 MLS Cup triumph with an irregular heartbeat, Clint Dempsey is leading the Sounders' charge to repeat. "Personally, it's great to be back playing on the field," Dempsey said earlier this week with typical understatement. "It really shows the character of this team to do it twice in a row, keep fighting all year. We're in a great position to try and repeat, and I hope I can play a part in it." That is his way. The former captain and joint all-time leading scorer of the U.S. men's national team is inscrutable. If his game is spontaneous and multifaceted, he's always tried to keep his private life as low-key as possible. That's not to say Dempsey lacks for motivation; no player could have accomplished all that he has without a burning competitive spirit. I think he's more driven to break that tie with Landon Donovan for the U.S. scoring record than he lets on. Surely the now-defunct possibility of playing in a fourth World Cup next summer held some appeal. Yet time has a way of sanding down rough edges. It's been a long while since Dempsey was considered the underdog outsider, trying to first prove himself against and later surpass generational peers like Donovan, DaMarcus Beasley and Tim Howard. "Being in a position toward the end, being able to take care of my family in a good way ... there are things that I'm at peace with," Dempsey said earlier this year. "Maybe I didn't have that peace when I was younger because I hadn't accomplished those things." That helps to explain why he was able to so quickly shrug off the disappointment of the U.S.'s failed qualification. Sounders coach Brian Schmetzer went as far as to publicly question whether his star forward would be in the right headspace to help with the playoff push, but Dempsey assured him that he was still committed to the cause and has lived up to that promise since. Dempsey recently signed a contract extension, to the surprise of some club observers, ensuring he'll be in Seattle for at least another year even without the carrot of another potential World Cup appearance. He likes that his kids are old enough to form memories of watching him play, and he's enjoying himself at the moment, so why not? Winning MLS Cup probably wouldn't crack his personal top tier of feats, from scoring in three different World Cups to helping Fulham reach the Europa League final in 2010. Yet it would check off another unticked box. For all of his individual success, Dempsey hasn't racked up all that much silverware, at least not at the club level. "I really don't look at individual awards all that much, to be honest with you," Dempsey said upon being named 2017 MLS Comeback Player of the Year. "It's more about just enjoying the game, where you're at, and making the most of your career. There are ups and downs on the roller coaster of anybody's career. "The things that mean the most, that I'll probably look back on, will be the games that I played in, the big moments and the battles. That's what I'll look back on." Saturday is another one of those big moments and promises to be a battle of the MLS titans. Just soak it in, and don't take anything for granted. That, if anything, comes closest to matching Dempsey's late-career motto, and it doesn't have to be any more profound or introspective than that.